Peer observations and collaboration are powerful tools for fostering professional growth and development. 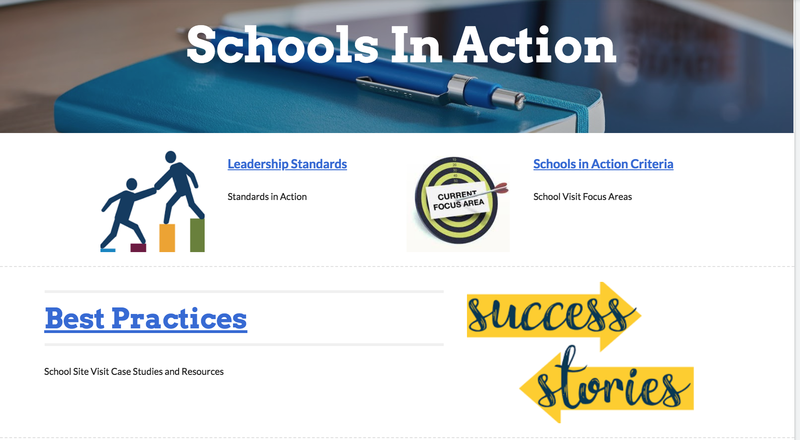 Principals, for a variety of reasons, do not have enough opportunities to observe other schools “in action” and to collaborate regarding mutual goals. The purpose of the development of such sites is to provide this opportunity to our education leaders across the state. As we learn from one another, we expect an expansion of school practices that are have a positive impact on student achievement.